As a coach trainer, Lyn has researched all the proven methods of motivation and goal achievement from the world's top coaches. 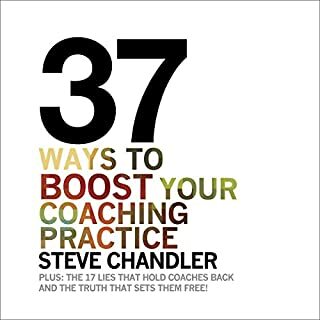 This audiobook answers the most frequently asked questions about coaching and teaches you how to become a coach, how to promote your coaching practice, and how to motivate your clients to move toward their success. Dr. Lyn gives you the simple 5-step coaching process and the 12-week program to provide your structure. Legal, ethical and regulatory information is also included. Take action, not now, but right now, and grab your copy today! I got no VALUE from reading this book. It wasnt informative and there was nothing to set this book apart from all the others. Even though they offered 3 books in one , it still did not create any value for me. This book will be returned. Although there was some information on this trilogy that I knew, there was a bunch of tips that really could make a great impact on my coaching business. There's a little something for everyone new to coaching through an established coach....depending on the models you use. Great read. I do recommend it. Loved the book and listening to K.L. Hammond was thoroughly enjoyable. I will definitely be following the strategy and advice given here. If you are looking for a book to help you become a phenomenal life coach......this is it. It really breaks down everything u need to know even gives step by step instructions. I'm using the strategies now and have seen great results. 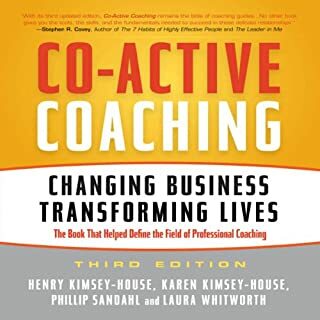 If you are fascinated in starting a coaching and consulting business...mainly if you want to pull buyers online or use online tools to control and manage the business, then this is a great book to pick-up. Thanks again for all the fabulous info! K.L. Hammond never fails to go above and beyond with his unbelievable information. This book is no changed. Thanks again for all the fabulous info! This book is filled with helpful knowledge for working a successful online life coaching. I plan to use several of the ideas because they sound like fun exercises and I have seen how this market guide is very fruitful. The author has created a program that moves chapter to chapter, from beginning techniques to more advanced techniques. 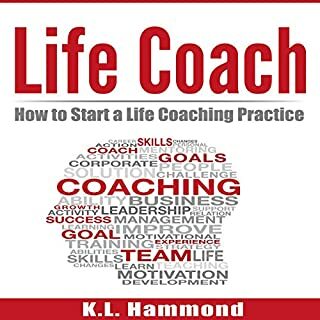 This is a 'must' purchase for anyone considering becoming a life coach or who wants to develop a more coaching environment in their current job. I bought this book to find out more about the growing concept of Life coaching. It teaches you to have a vision of life and thought that will make you better and can allow yourself to lead your life in a better way, I recommend it. I saw this book very enough as a way to deepen my coaching skills. It's on the philosophy behind coaching and has great conversations with clients, from which I learned a lot. This book is wise with knowledge for coaches at any stage of their work. The growth of our purpose must maintain during our coaching lives. This book is a lead to helping us discover the power of confidence in coaching ourselves and others. I am sure it will be a model in the coaching field for years to come. One of the key benefits of this book is having these resources gathered in one place with an extended index leading the listeners to the expert material to pursue inquiries in more detail. I was so shocked to get my book today! It used less than 4hrs using standard post and to top it off, the book's in excellent. This has been the best set I've ever had over the Internet! Way to go K.L. Hammond!!! This book shows to know what they are speaking about. I have to listen to the entire thing but the book came pretty fast, no charges with the seller. I will re-review when done the listening!!! 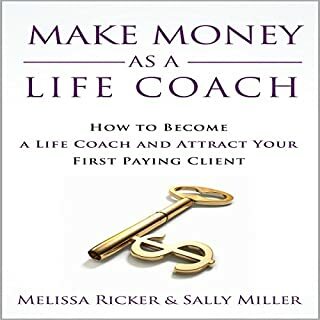 I support this book whether one is examining possibilities of becoming a professional life coach or regarding the benefits of choosing a coach. Anyone craving to discover more about life coaching will find this book to be a worthy lead to this emerging field. This book gives a clear account of the fundamentals of coaching and guidance to build excellent coaching skills. I am a Life Coach & attained this book to be helpful & empowering. 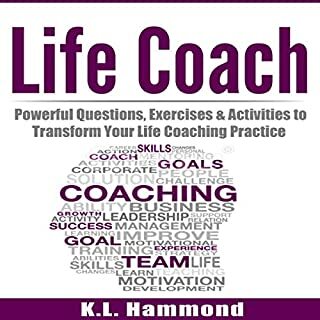 It includes the basic laws of life coaching in a specific manner & provides useful steps & tools to coaching. Presents you with a lot of good knowledge, particularly if you are starting a coaching business. Excellent book. Makes me feel ready to coach. The Bible for novice coaches!!! 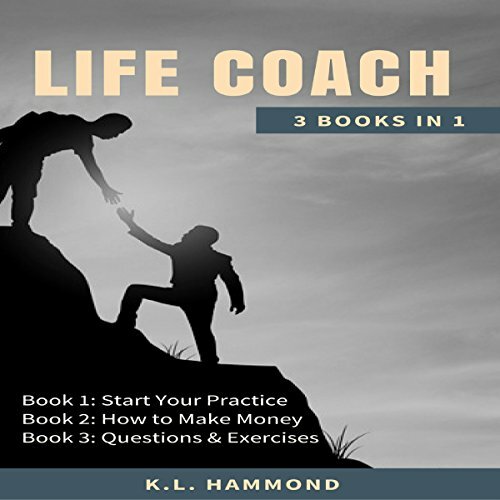 This book breaks down what you need in order to become a successful life coach and will enhance your practice in many ways. 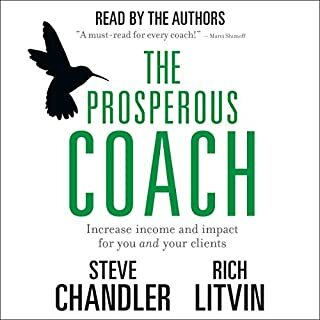 Highly suggested listening for anyone seeking to build a flourishing business in life-coaching!! !